Mary Ann understands some people are afraid that Long-Term Care Insurance premiums might go up in the future. She urges you to know the facts. Today's Long-Term Care Insurance is both affordable and rate stable. The head of a national consumer education and advocacy group states the risk of future premium increases on today’s Long-Term Care Insurance is nil. This is good news as more people nowadays are planning for the costs and burdens associated with aging, health and long-term care. For many, Long-Term Care Insurance is a big part of retirement planning. However, some consumers are concerned with what they read about rate increases. 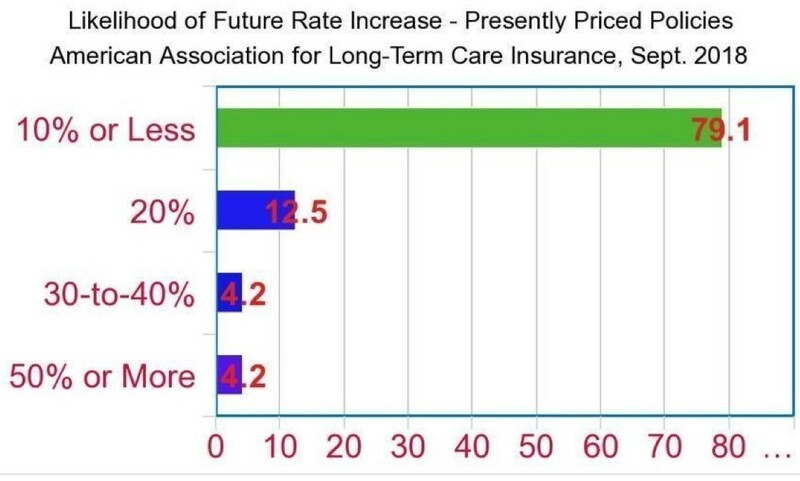 The American Association for Long-Term Care Insurance (AALTCI – www.aaltci.org) completed a study reviewing pricing expert’s opinions of today’s Long-term Care Insurance. The study shows, under the new regulation, pricing and actuarial methods, consumers face little if any chance of a future rate increase under the products being sold today. “Policies priced years ago using different assumptions have seen rate increases so consumers today assume they face the same risk,” explains Jesse Slome, director of the AALTCI. “That’s simply not the case.” The AALTCI just released results of a poll of actuaries across the Long-Term Care Insurance industry. 1. More accurate and conservative underwriting. Major companies have more knowledge and actual claims experience today than they did when they designed and priced older “legacy” products. This means insurance companies can price for the expected claims and price plans based on health conditions people have when they apply for coverage. 2. Lapse rates. Insurance companies never expected people to keep their policies as they do. They expected it to be no different from any other type of policy. The fact is when a person gets a Long-Term Care policy in place it stays in place. The older legacy policies were never prices for this. Companies now use a lapse rate assumption of less than one percent per year. This is no longer an issue with premiums on today’s plans. 3. Interest rates. Did anyone expect interest rates to drop and stay as low as they have been for as long as they have been? The answer is no. The low-interest rates had a tremendous impact on the investment returns actuaries expected. Today’s Long-Term Care Insurance is priced considering these extremely low rates. As rates go up, pressure on interest rates from a premium standpoint goes down. Good for both the policyholder and the insurance company. “Most actuaries responding see little or no the risk of needing future rate increases on recently priced policies,” according to Slome. Some 79.1 percent of the responding actuaries expressed the risk was 10 percent or less. Older Long-Term Care Insurance policies priced 10 or 20 years ago used different pricing assumptions and generally had specific policy provisions that necessitated the need for increases. Long-Term Care Insurance specialists have seen the industry grow and change over the decades. “Thirty years ago, the only option for protection were nursing home only policies. Over time, as the market change and demand of planning increase, policies changed. They then provided a continuum of care from your home to assisted living facilities to nursing home care. With the expanded benefits the industry did not price the products based on the increased utilization, underwriting, and other actuarial considerations. Today’s Long-Term Care Insurance remains very affordable, but is priced and designed to be rate stable,” said Brent Donarski, a Long-Term Care specialist with 30 years’ experience in the industry. Donarski, who operates www.myltcspecialist.com, says the industry has become much better in fulfilling the needs of individuals in need of care in the environment and care location they are most comfortable. 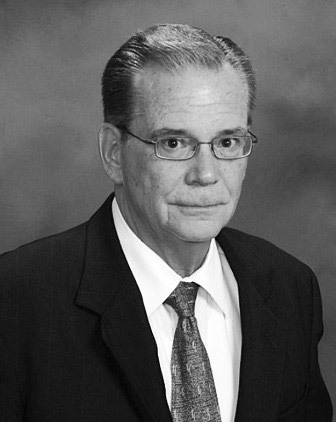 “I have assisted in thousands of claims with the adult children of the policyholder and they have such a relief knowing that their parents planned ahead for their long-term care needs. Yes, the industry has had some challenges along the way, like other industries, but today has never been a better time for people who are interested in protecting their families from the emotional and financial burdens of long-term care. The good news is today’s Long-Term Care Insurance is priced with more experience and under new rules which make them affordable and rate stable,” Donarski said. The AALTCI report underscores the confidence in the industry pricing models. “I believe the risk of future rate increases is zero,” projects Slome. “Rising interest rates and the new regulations mean someone purchasing a new Long-Term Care Insurance policy in 2018 and 2019 faces little if any chance of a future rate increase. The policy designs available in today’s products also add to the pricing confidence compared to older legacy products. 1. Traditional Long-Term Care Insurance. These would include partnership plans available in most states which offer additional dollar-for-dollar asset protection. These products offer many features and benefits including shared spousal/partner plans. Tax incentives are available for some people and for the self-employed and businesses. Pre-tax money from Health Savings Accounts can also be used to pay premiums. Generally, these plans have more conservative underwriting but are priced very affordability depending on your health and age at the time of application. 2. Asset-Based/Hybrid Plans. These are either life insurance or annuities with a rider to cover long-term care costs. Often, they are single premium products but with some companies offer limited pay options or even annual payment options with premiums can never increase. These plans offer a death benefit in the event the policy is not used for long-term care costs. 3. Limited Duration/Short-Term Plans. These plans are designed to provide a limited amount of benefits, often at home. The underwriting criteria is usually broader and the age limits for eligible applications is wider. Donarski says an experienced Long-Term Care specialist can help you find an appropriate plan placed on your age, health, concerns, and budget.